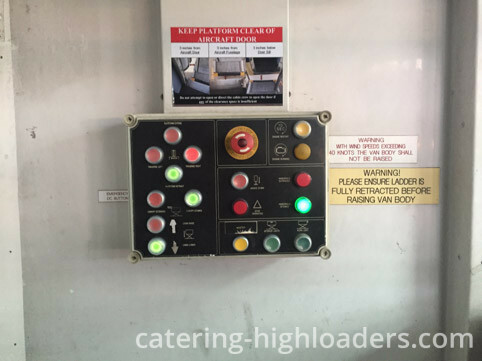 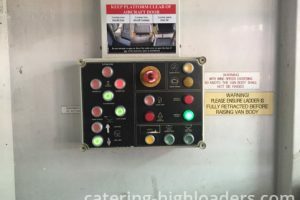 This Catering Highloader is perfect for aircrafts between Boeing 737 and Boeing 777. 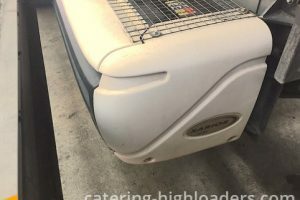 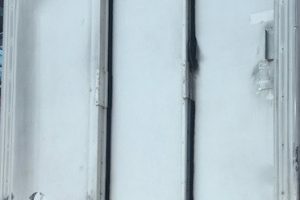 This Airport Catering Truck has a cooling system from Carrier. 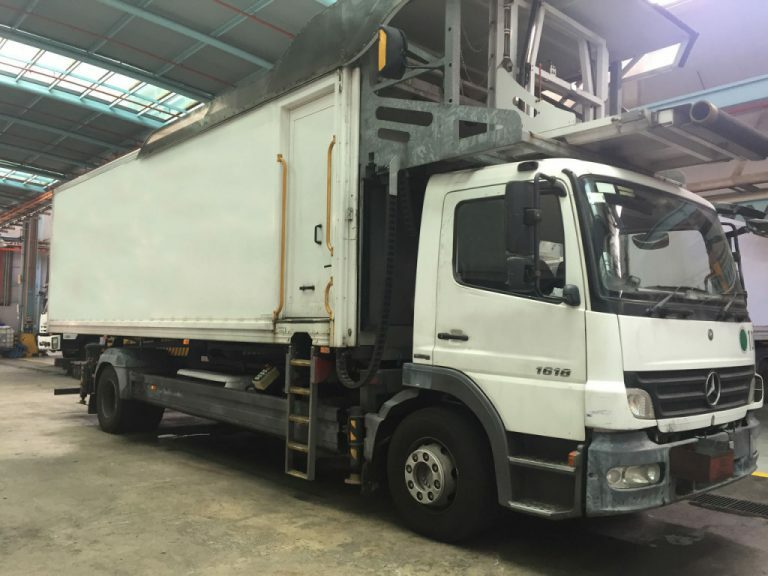 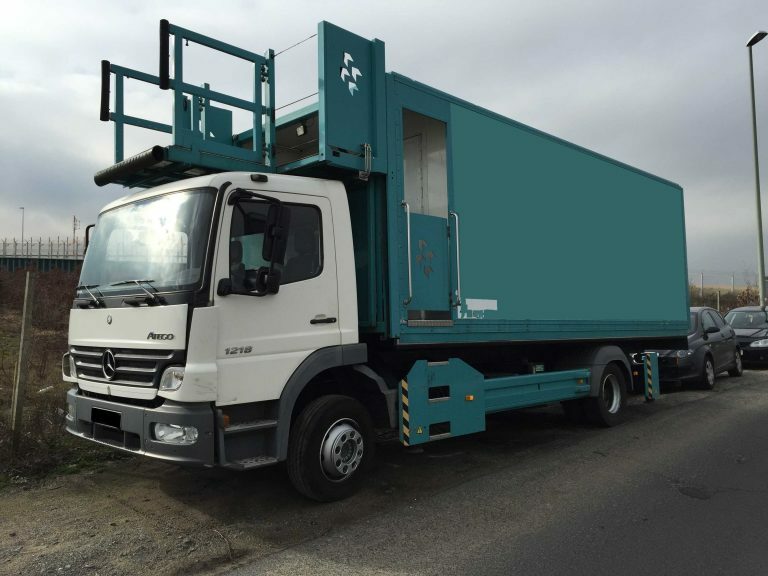 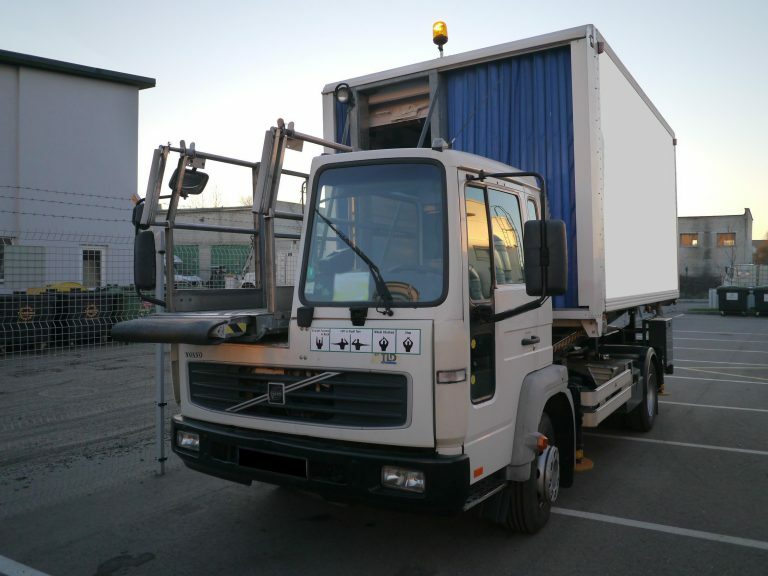 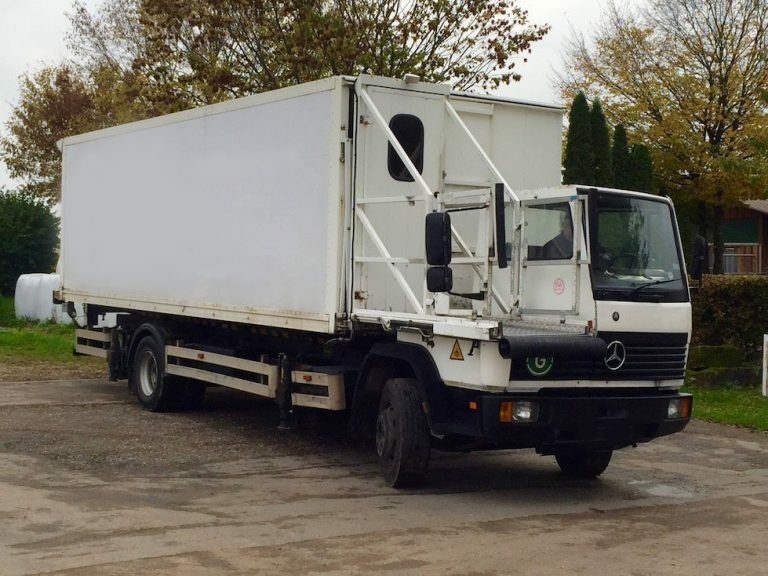 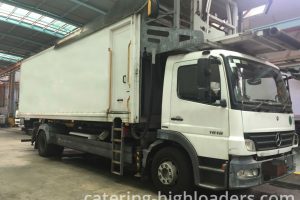 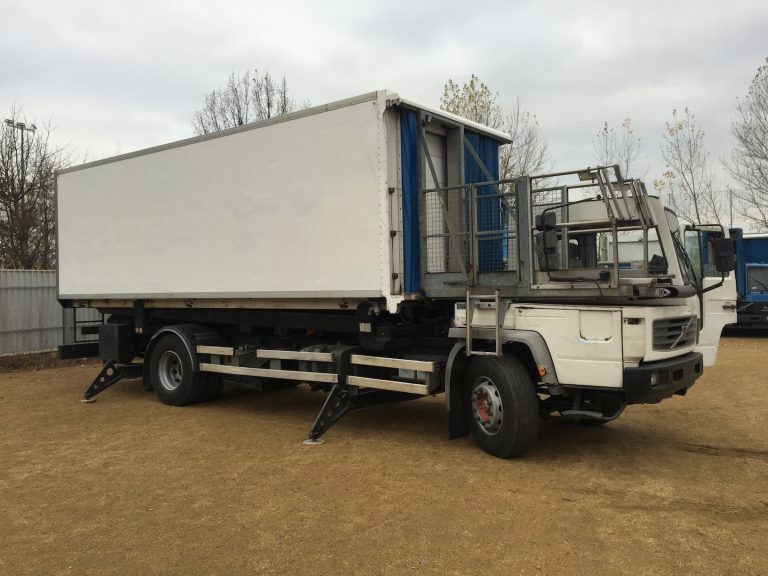 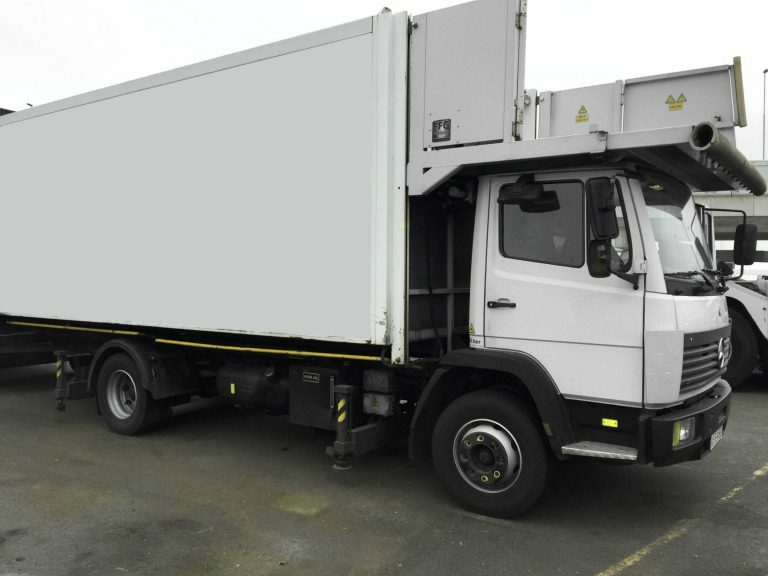 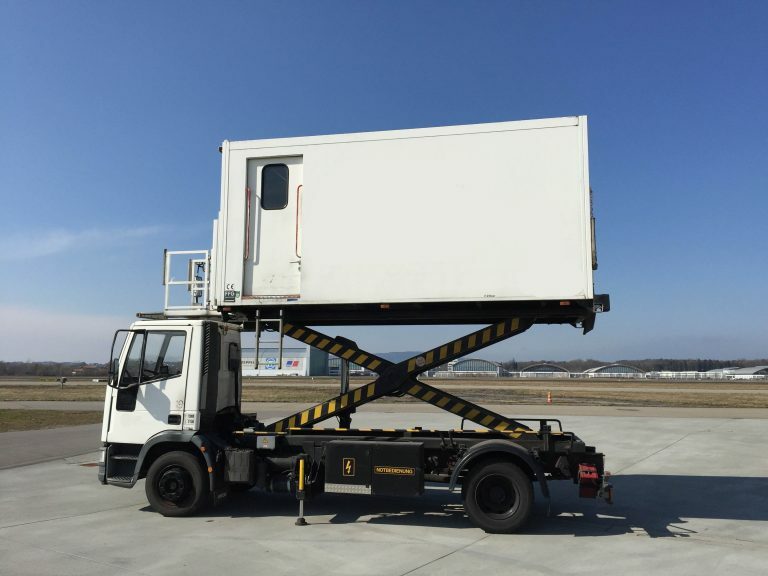 It can cool down the box of this Airline Catering Truck to 4 degrees.The manufacture of the lifting scissor is Mallaghan. 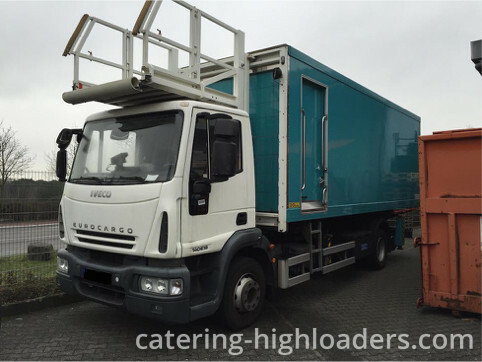 Mallaghan is known of best manufacturer of Catering Highloaders in the world. 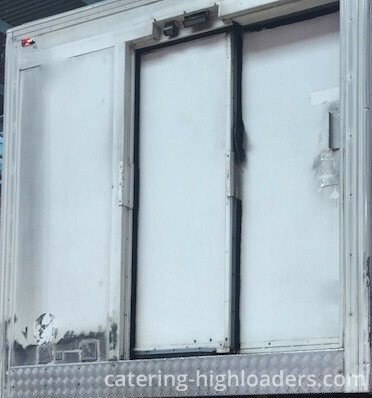 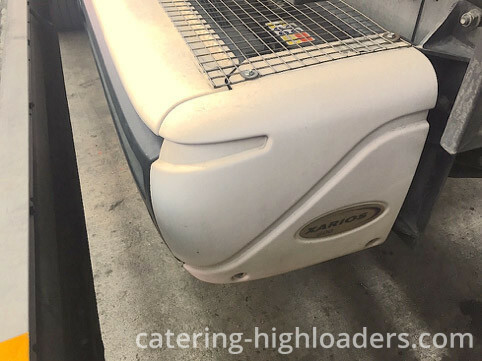 The Catering Truck has a canopy which is able to cover the front platform of the Catering Highloader. 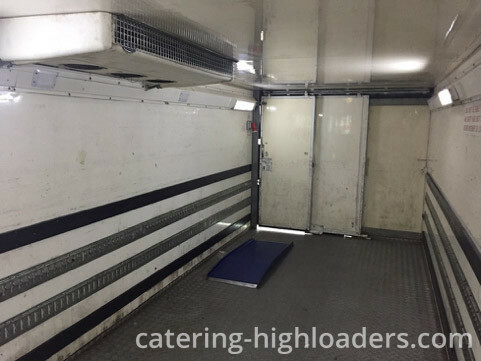 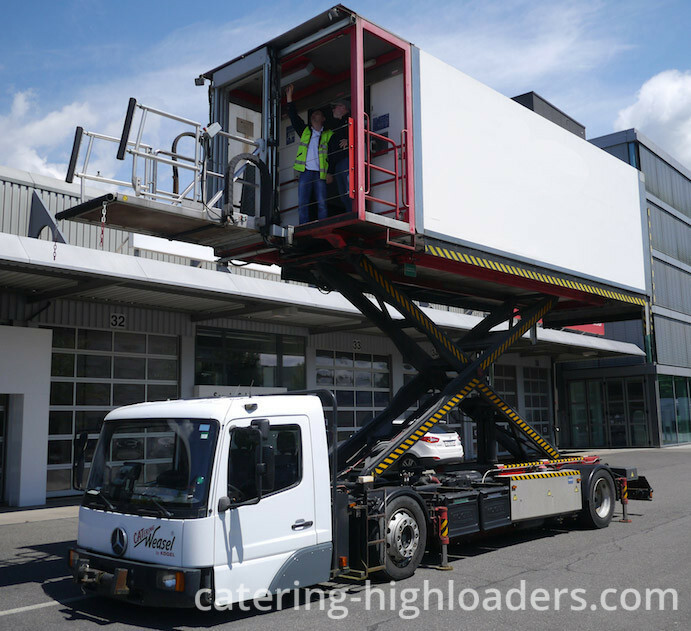 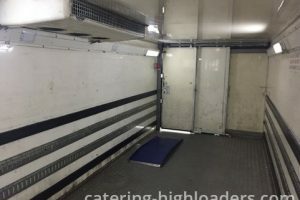 A great solution to give the operator of this Catering Highlift a dry walkway into the aircraft. 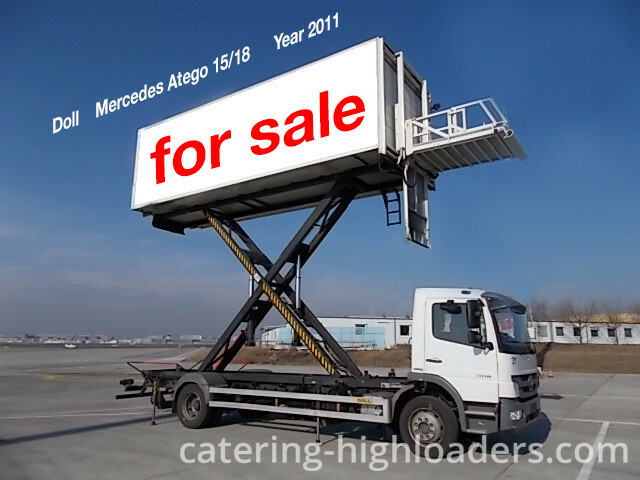 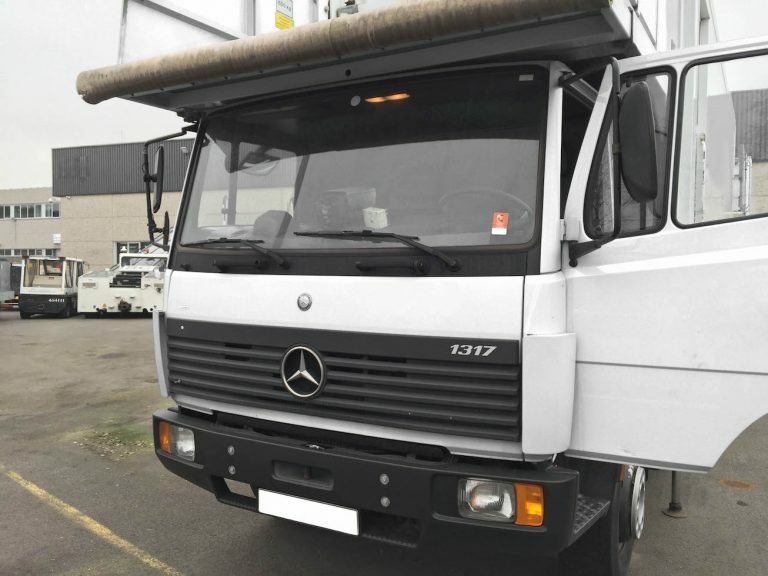 The chassis of this Airplane Catering Truck is from Mercedes and has a right handed steering.